Electronic Absorption Spectra and Geometry of Organic Molecules: An Application of Molecular Orbital Theory focuses on electronic absorption spectra of organic compounds and molecules. The book begins with the discussions on molecular spectra, electronic absorption spectra of organic compounds, and practical measures of absorption intensity. The text also focuses on molecular orbital theory and group theory. Molecular state functions; fundamental postulates of quantum theory; representation of symmetry groups; and symmetry operations and symmetry groups are described. The book also discusses shape of absorption bands and geometry of excited electronic states; effect of environment on electronic absorption spectra; and the application of simple LCAO MO method to simple π systems. An evaluation of the parameters used in simple LCAO MO method is presented. The text notes the usefulness and restrictions of simple LCAO MO method in the interpretation of electronic absorption spectra. The correlation between results of simple MO calculation and spectral data in aromatic hydrocarbons, and correlation between results of simple MO calculation and spectral data in conjugated linear polyenes are discussed. 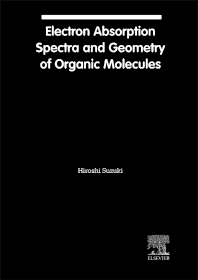 The book also looks at MO methods and the relations between electronic absorption spectra and geometry of molecules, biphenyl, styrene, and related compounds. The text is a good source of data for researchers and chemistry students who want to study electronic absorption spectra.